Out of stock? — Get notified when this product is back in stock. Hike and ride — Designed for touring and backcountry riding. Ethical production — Made in Vietnam under fair working conditions. Sustainable material — 100% recycled and PFC-free. 45.000mm waterproofness. Zippers — Eight water resistant YKK zippers to keep you dry. When functionality meets sustainability. The Open One 3L Shell Pants have been designed from scratch on with both functionality and sustainability in mind. Sign up via the link below. For the production of the Open One Series we work together with Maxport in Hanoi, Vietnam. Maxport is known for their modern working environment. They have applied a green concept to their factory and office. Creating a pleasant environment to work in. The Open One Series has been awarded the prestigious ISPO Gold Winner Award and iF Design Award. When functionality meets sustainability. That's the best definition of the recycled Sympatex 3L shell material. The 45.000mm non-porous membrane guarantees optimal functionality. Since all three layers are polyester, this allows a cheap and simple recycling process. The Open One Series is specially designed with two key functionalities in mind: Riding deep powder in the backcountry and hiking up to get there. 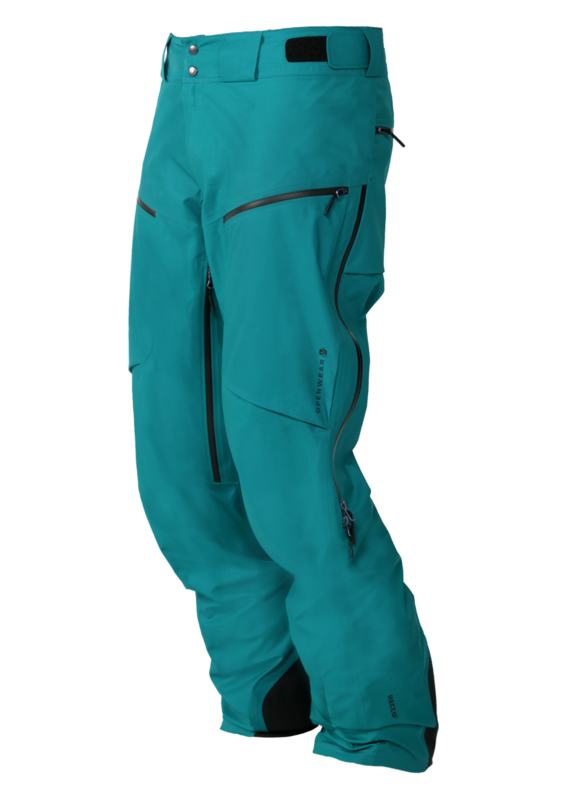 The Sympatex material is perfect for going on day tours to find the best powder. Water-resistant. Strong. Durable. Keeping you and your pockets dry. The zippers are extremely strong and durable. Making sure you will always be able to easily open your pants and safely store your belongings. Double ventilation — For the ultimate cooling down during a long hike up. We've designed the Open One 3L Shell Pants to be the perfect pants for hiking up. Double sided leg ventilation allows for optimal airflow, guaranteeing maximum temperature control. Reinforcements — Hiking up on a splitboard or skis doesn't need to ruin your pants. The reinforced side-to-back patches make sure your pants won't break during your hike up or rund down. Not only does it save your pants, it also prevents you from potential dangerous moments. Powder proof — We love fresh snow. Just not in our pants. The pants are completely designed for the deepest powder days. All to keep the deep snow from coming in your pants. Safety first — Making sure you won't loose your transceiver. Your pants can be a comfortable position for your transceiver. But you got to make sure it stays there, so we added a strong loop to attach your transceiver to. Fully taped seams — Keeping you dry on the inside. Have a waterproof material is nice, but without fully taped seams you are still at risk of getting wet on the inside. Therefore the Open One Series has fully taped seams. Wash and care — Easily take care of your pants to keep optimal performance. Keeping your pants clean and fresh. You can wash it regularly to keep the optimal functionality. 100% recyclable — All 3 layers are made of 100% polyester, making it easily recyclable. In contrast to many other three layer materials the Sympatex fabric allows for an easy and cheap recycling process. Fill in the three sizes below and find your best fit or use the size table below. Measurements in cm. Waist – Measure around your waist. Just above your belly button. Hip – Measure around the widest part of your hips. Body length – Measure your total body length. Measure direct on your body. If you are in-between two sizes, pick the larger size for a more loose fit and the smaller size for a more tight fit. Sorry, we can’t recommend you a size. We cut down the importer fee and the store cost, we are able to sell the same quality for almost half of the price. Ergonomical fit optimized for riding powder and hiking up. Sympatex 3L Shell Material. 100% made of recycled PET bottles. The Sympatex membrane guarantees a waterproofness of 45.000mm. "I love the long zippers! Perfect for every temperature." "Thoughtful pants with some seriously great features." 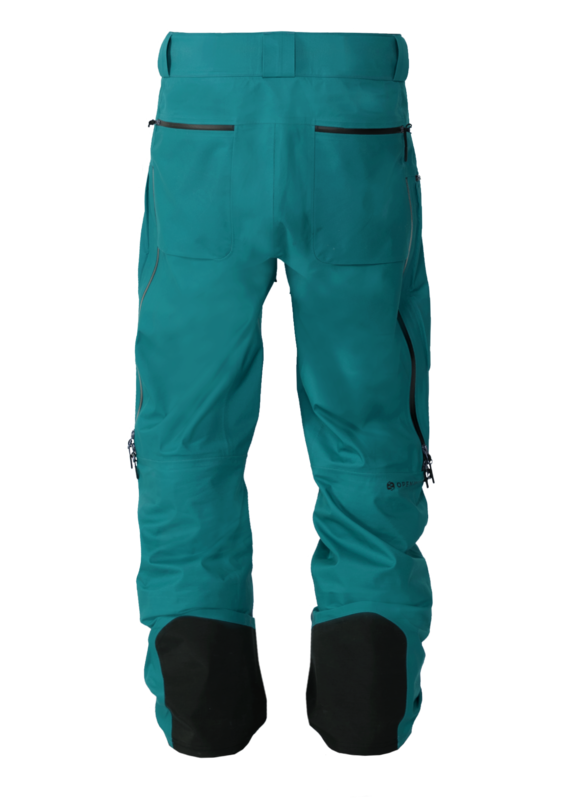 "Perfect pants for freeriding and skitouring all season long!"